 “Xichang Satellite Launch Centre,” Jane’s Space Systems and Industry, 13 December 2012. “Satellite Launch Centers,” China Internet Information Center, 18 October 2004, www.china.org.cn. “LM-3A Series Launch Vehicle User’s Manual,” China Great Wall Industry Corporation Publications, 1 January 2011, www.cn.cgwic.com. “LM-3A Series Launch Vehicle User’s Manual; Chapter 7 Launch Site Tracking, Telemetry and Control System (TT&C),” China Great Wall Industry Corporation Publications, 1 January 2011, www.cn.cgwic.com. “昌卫星发射中心40年建功祖国航天事业纪实 [Xichang Satellite Launch Center; 40 Years of Patriotic Activities in the Space Industry],” People’s Liberation Army Press Release, 1 October 2011, www.cn.cgwic.com. “LM-3A Series Launch Vehicle User’s Manual; Chapter 7 Launch Site,” China Great Wall Industry Corporation Publications, 1 January 2011, www.cn.cgwic.com. 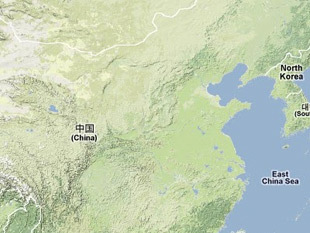 “China Confirms Satellite Downed,” BBC News, 23 January 2007, www.news.bbc.co.uk. “Minnie Chan, “New Satellite Launch Base Set for 2014 Hainan Liftoff,” South China Morning Post, 21 August 2008, via: www.lexisnexis.com.